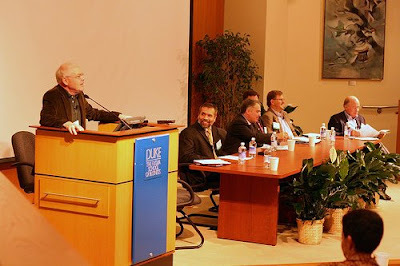 We held the Second Annual Conference on Intellectual Property at Duke. It was a great lineup of speakers, and was hosted by our very own Marshall Phelps, Executive-in-Residence, and Corporate VP at Microsoft, and Prof. Wes Cohen. We had visitors come in from many different parts of the country and the world. A big thanks to the Kauffman Foundation for providing a lot of support this great event. In addition, we'd like to thank Microsoft, ThinkFire, and PriceWaterhouseCoopers for their support as well. Being a dissertation writing service expert, I am sure that this conference would be successful and all of the people would have enjoyed well. You must need to make sure that the agenda was discussed well.